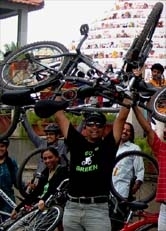 Go Green Campaign Ride on 07Nov2010 towards GKVK - GGI-Group size: 4000+ Professionals, Increasing on day to day basis, Come & join us 2 serve Mother Nature. 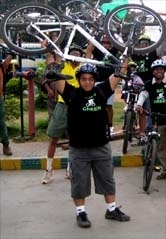 GKVK campus & weather was awesome, we did a bike salute and their on went inside the campus and then came out by 8:30am. 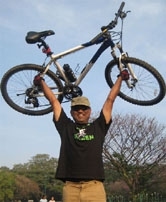 Had our breakfast @ a near by Darshani hotel which was located on the service road. The food was tasty. We realized it was drizzling and before it starts poring, we wanted to hit our residence hence started and reached RIS junction by 9:45am. Following was the route followed.